Kriti Verma Biography :- India’s most controversial reality show Bigg Boss is all set to entertain the audience with its catfights, and fake romance with its new season. Bigg Boss 12 premiere is yet to begin, and the makers are leaving no stone unturned to increase the curiosity amongst Bigg Boss fans. The team is not revealing the name of the final contestants, but they are just giving the hint of the celebrity and commoners Jodi in the promo. After confirming the two commoners for Bigg Boss 12, the team has unveiled two more contestants for the show. 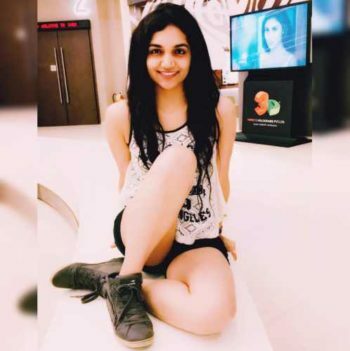 Ex-roadie Kriti Verma is the confirmed participant of the show. What’s more interesting is that she will enter the Bigg Boss house with her not so close friend Surbhi Rana as a couple. Born on 4th September, Kriti is a beautiful, talented and a gorgeous diva with over fifty thousands of followers on Instagram. She is a GST officer by profession in Indian Customs and Indirect taxes department. She loves dancing and even got featured in many shows like DNA Fashion Connect Season 2, and IDT Fashionova. It was only last year when she auditioned for the reality show Roadies Extreme and got selected in Neha’s gang. And now her appearance in the biggest reality show Bigg Boss would sure gain her more followers. The diva came into limelight after participating in MTV Roadies. She didn’t share a great bonding with any of the contestants and even got trolled her profession and other reasons. She was the member of Neha’s gang. Kriti couldn’t make it into the finale and got eliminated early from the show. The latest headline for the show confirms that Kriti Verma will enter house with Surbhi Rana in the show. Both Kriti and Surbhi Rana were the contestants of the roadies under the same group leader. While Kriti eliminated early, Surbhi reached the semi finals. Right from the beginning the two have not been best of friends but somehow manage to survive in the game. Other contestants S. Sreesanth, Neha Pendse, Nirmal Singh, Romil Chaudhary, Deepak Thakur. That means this bad friends Jodi will surely entertain the audience a lot. In MTV Roadies the two didn’t share a great bond let us how they will manage to play as a couple in Salman Khan’s show Bigg Boss 12. Just like Kriti fascinated everyone with her beauty and boldness in Roadies, she will be doing something unusual in Bigg Boss 12 too to entertain the viewers.